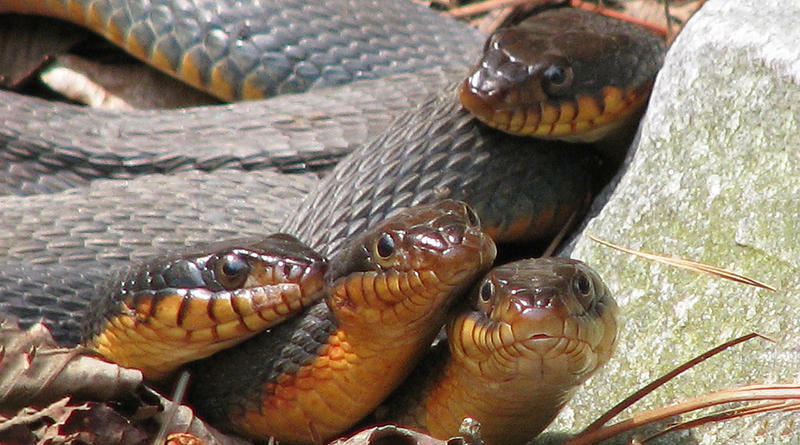 Red-Bellied Watersnakes. An unusual group photo, probably one female in the tangle being pursued by 3 males. The Red-Bellied Watersnake is common in South Carolina. They are non-venomous.